Last week’s Maximum Shelf pick was Alex North’s THE WHISPER MAN, the next creepy thriller from Celadon you won’t want to miss! Tom Kennedy and his young son Jake are having a tough time after the sudden death of their wife and mother. A fresh start will help heal. A new beginning, a new house, a new town. Featherbank. But the town has a dark past. Fifteen years ago a serial killer abducted and murdered five residents. Until Frank Carter was finally caught, he was nicknamed “The Whisper Man,” for he would lure his victims out by whispering at their window at night. Of course, an old crime need not trouble Tom and Jake as they settle into their new home. Except that now a young boy has gone missing with a similar M.O. as The Whisper Man all those years ago, reigniting old rumors that he preyed with an accomplice. Detectives Amanda Beck and Pete Willis must find the boy before it is too late, even if that means Pete has to revisit his great foe in prison. The Whisper Man. See the full summary, review, and interview with Alex North on Shelf-Awareness.com. AND enter to win an ARC! This week’s featured Maximum Shelf Awareness pick is the bewitching and eagerly-awaited THE DAUGHTERS OF TEMPERANCE HOBBS by Katherine Howe! New York Times bestselling author Katherine Howe returns to the world of THE PHYSICK BOOK OF DELIVERANCE DANE with a bewitching story of a New England history professor who must race against time to free her fiancé from a curse. Connie Goodwin is an expert on America’s fractured past with witchcraft. A young, tenure-track professor in Boston, she’s earned career success by studying the history of magic in colonial America–especially women’s home recipes and medicines–and by exposing society’s threats against women fluent in those skills. But beyond her studies, Connie harbors a secret: She is the direct descendant of a woman tried as a witch in Salem, an ancestor whose abilities were far more magical than the historical record shows. When a hint from her mother and clues from her research lead Connie to the shocking realization that her partner’s life is in danger, she must race to solve the mystery behind a hundreds-years-long deadly curse. Flashing back through American history to the lives of certain supernaturally gifted women, THE DAUGHTERS OF TEMPERANCE HOBBS affectingly reveals not only the special bond that unites one particular matriarchal line, but also explores the many challenges to women’s survival across the decades–and the risks some women are forced to take to protect what they love most. See the full summary, review and interview with Katherine Howe on Shelf-Awareness.com. 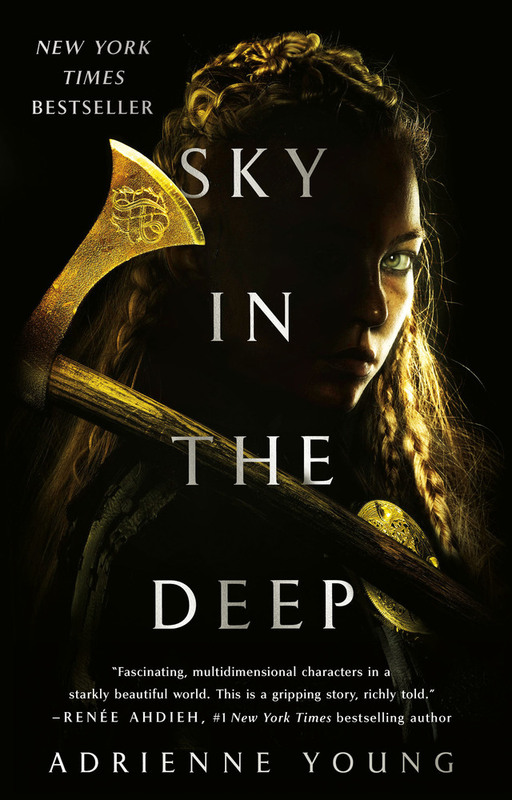 And enter to win an ARC! 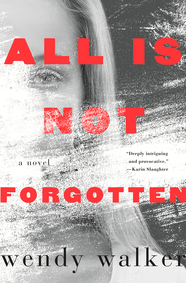 We’ve already told you about ALL IS NOT FORGOTTEN, the incredible psychological thriller by Wendy Walker that your fellow librarians (and Reese Witherspoon) can’t stop raving about, and now it’s a Maximum Shelf Awareness pick! Perfect for readers who loved Karl Marlantes’s MATTERHORN and Kevin Powers’s THE YELLOW BIRDS, Iraq war veteran Michael Pitre’s debut novel, FIVES AND TWENTY FIVES, follows three men from a road repair platoon tasked with the dangerous job of filling potholes along the highways and byways of Iraq. Buzzing since spring, FIVES AND TWENTY FIVES was picked for the “Summer/Fall Indies Introduce Promotion” at BEA, was named a Library Journal Best Summer Debut, as well as a B&N Discover Great New Writers pick, and was yesterday’s featured Maximum Shelf Awareness title. Fives and twenty-fives mark the measure of a marine’s life in the road repair platoon. When a convoy halts to investigate a possible roadside bomb, stay in the vehicle and scan five meters in every direction. A bomb inside five meters cuts through the armor, killing everyone in the truck. Once clear, get out and sweep twenty-five meters. A bomb inside twenty-five meters kills the dismounted scouts investigating the road ahead. Lieutenant Donavan leads the platoon, painfully aware of his shortcomings and isolated by his rank. Doc Pleasant, the medic, joined for opportunity, but finds his pride undone as he watches friends die. And there’s Kateb, known to the Americans as Dodge, an Iraqi interpreter whose love of American culture—from hip-hop to the dog-eared copy of Huck Finn he carries—is matched only by his disdain for what Americans are doing to his country. Told in alternating first-person voices, the story switches between the present, when each man has either returned home or tried to create a new one, and their far more vivid past, in the Iraqi war zone, following these men as they struggle to find a place in a world that no longer knows them. See the full summary, review and interview with Michael Pitre on Shelf-Awareness.com. A beautiful empress, a handsome horseman, and a bluestocking heiress form a passionate love triangle in New York Times bestselling author Daisy Goodwin’s new historical novel, THE FORTUNE HUNTER, which was last week’s Maximum Shelf Awareness feature. Empress Elizabeth of Austria, known as “Sisi,” is the Princess Diana of nineteenth-century Europe. Famously beautiful, as captured in a portrait with diamond stars in her hair, she is unfulfilled in her marriage to the older Emperor Franz Joseph. Sisi has spent years evading the stifling formality of royal life on her private train or yacht or, whenever she can, on the back of a horse. Captain Bay Middleton is dashing, young, and the finest horseman in England. He is also impoverished, with no hope of buying the horse needed to win the Grand National—until he meets Charlotte Baird. A clever, plainspoken heiress whose money gives her a choice among suitors, Charlotte falls in love with Bay, the first man to really notice her, for his vulnerability as well as his glamour. When Sisi joins the legendary hunt organized by Earl Spencer in England, Bay is asked to guide her on the treacherous course. Their shared passion for riding leads to an infatuation that threatens the growing bond between Bay and Charlotte, and all of their futures. See the full summary, review and interview with Daisy Goodwin on Shelf-Awareness.com. They said she was a murderer. They said she killed her sister. That's the set up for Chevy Stevens' fourth terrific novel, THAT NIGHT, which is this week's Maximum Shelf Awareness feature. Toni Murphy was eighteen when she and her boyfriend, Ryan, were wrongly convicted of the murder of her younger sister. Now she is thirty-four and back in her hometown, working every day to forge and adjust to a new life on the outside. She's doing everything in her power to avoid violating her parole and going back to prison. But nothing is making that easy—not Ryan, who is convinced he can figure out the truth; not her mother, who clearly doubts Toni's innocence; and certainly not the group of women who made Toni's life miserable in high school and may have darker secrets than anyone realizes. Before Toni can truly move on, she must risk everything to find out the truth and clear her name. See the full summary, review and interview with Chevy Stevens on Shelf-Awareness.com. Available on NetGalley. To be pre-approved for an e-galley, please email library@macmillanusa.com with the subject "That Night." We're enamored with SHOTGUN LOVESONGS, Nickolas Butler's debut novel about the relationship between four friends living in a small Midwest town. Other are too: it was selected by the ABA for the Spring 2014 Indies Introduce program and is this week's Maximum Shelf Awareness feature. Hank, Leland, Kip and Ronny were all born and raised in the small town of Little Wing, Wisconsin and are now coming into their own (or not) as husbands and fathers. One stayed while others left to make good, with varying degrees of success. Seamlessly woven into their patchwork is Beth, whose presence among them—both then and now—fuels the kind of passion one comes to expect of love songs and rivalries. Now all four have returned to Little Wing in hopes of finding their place in the world. SHOTGUN LOVESONGS explores the age-old question of whether or not you can ever truly come home again and the kind of steely faith and love returning requires. See the full summary, review and interview with Nickolas Butler on Shelf-Awareness.com. Get whitelisted and download your e-galley on Edelweiss. Or listen to a clip of the audiobook. Then meet Butler at PLA 2014 in Indianapolis!